If you would like to join us in singing or ringing, we would love to have you!! Praise Ringers practice at 6:15 pm and Chancel Choir at 7:25 pm on Wednesdays during the school year. To learn more or if you are interested in joining our team, please contact Carolyn Masterson at 262-367-6000, ext. 16. If you would like to join us for only a season or you miss some rehearsals because of travel, children, etc. NO WORRIES. We are a grace-filled group (the director too!). We would love to have you join us!! 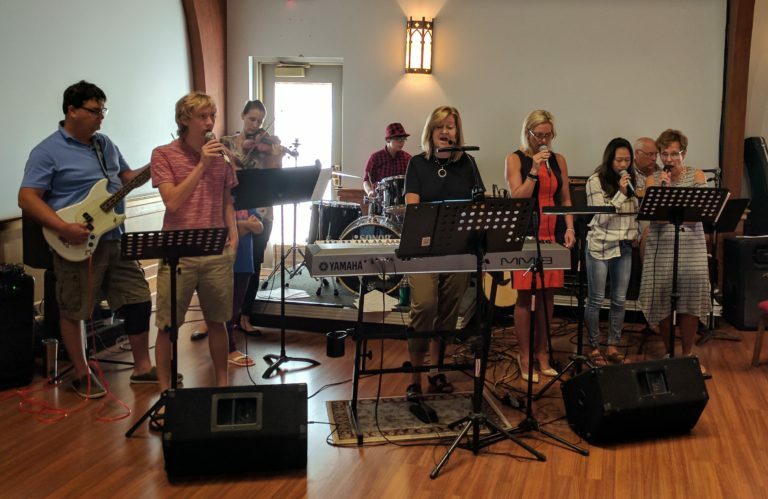 The StoneRollers worship band leads our services twice a month. From KLOVE radio hits to current contemporary to classic hymns… with keyboards, guitars, drums, percussion, violin and harmonizing vocals, the Holy Spirit leads us to help edify our praise and worship of our God. StoneRoller leaders: Irene and Steven Koenigs. 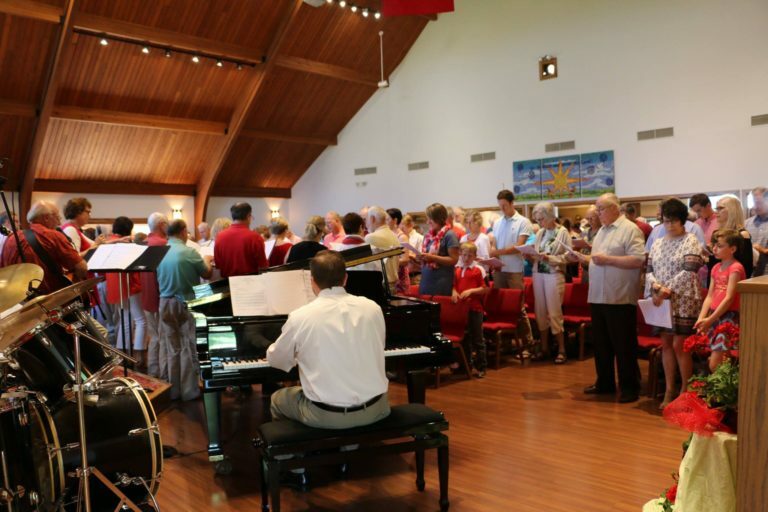 Chancel Choir meets weekly on Wednesdays. The choir sings on a rotating basis. Some Sundays they sing at 8:15 and others at 10:30 am. Praise Ringers are the adult bell team (High School through Adult) that practice on Wednesdays. They perform at Worship about once a month alternating with Chancel Choir, 5th & 6th Grade Bell Team, Youth Bells and StoneRollers Praise Band.